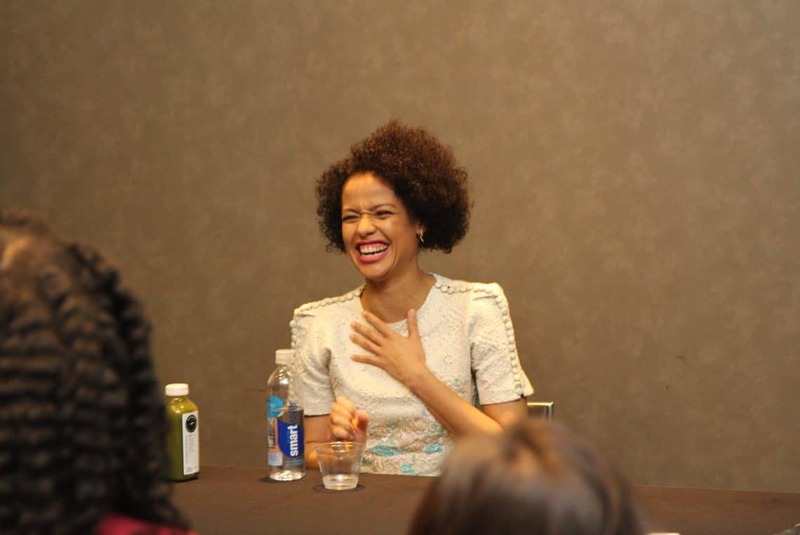 Gugu Mbatha-Raw is a ball of sunshine. I mean, just look at that smile! She had such positive energy! Is that strange to say? I can’t help it. I really had such a good vibe off of her. Not only does this actress have such a wide range and a full resume of amazing titles, but she is passionate about her craft. What an amazing combo! 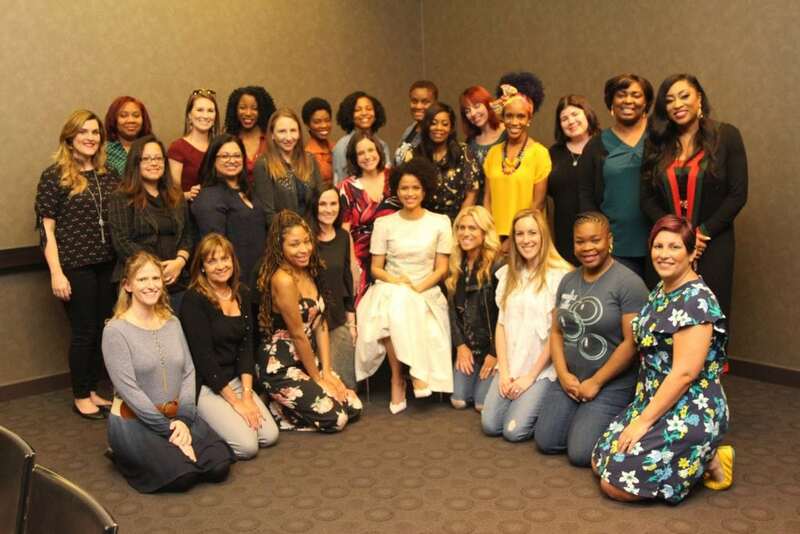 I had the pleasure to interview Gugu Mbatha-Raw during the Wrinkle in Time press junket and got to know a little bit more about what made this actress tick. 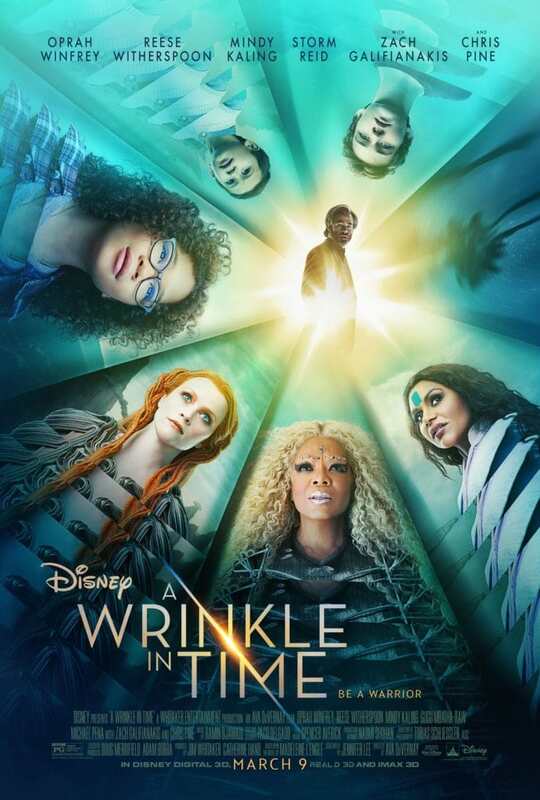 In my Wrinkle in Time Review, I told you that the movie is truly for tweens / teens looking for advice on self-love and self-worth. A powerful message for sure!! It’s actually the main reason why I think you should take your family to see the film. And you know what? 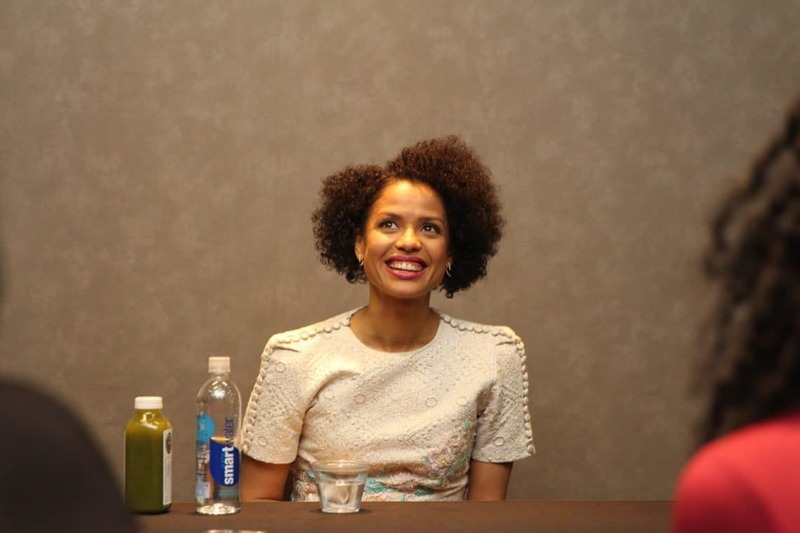 Gugu Mbatha-Raw had her own inspiring message to pass along as well. We asked Gugu what she would tell herself if she had a chance to go back in time and say something reassuring to herself. This message can be transferred to every moviegoer this weekend and beyond. To keep being you! I was quite an exuberant 8 to 12. I was quite nerdy at school and I used to get teased for constantly putting my hand up and being a teacher’s pet or a nerd or a geek or all of those things that are not cool. It didn’t stop me. I think I would like some reassurance that being a nerd is cool and nerds are the most interesting people outside of high school. Just keep doing what you love! There are so many amazing lines in the script. Powerful moments! 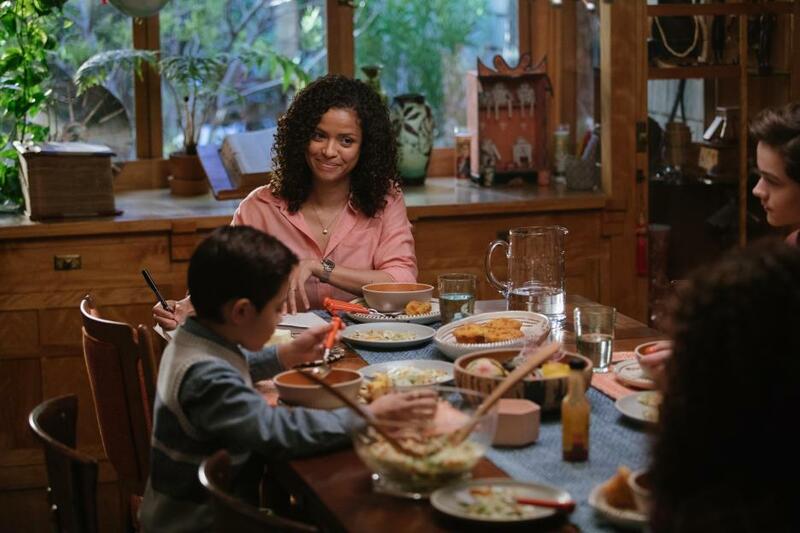 It’s hard to choose but Gugu Mbatha-Raw was able to pinpoint one quote from A Wrinkle in Time that she loved best. I think Oprah has the line, “All you have to do is find the right frequency and be who you are.” That’s the key to life, isn’t it? Just find the right frequency. Find your tribe. Find your purpose. Find the thing that sets you alight and you know your frequency, your vibe. Then just do that. Do you. Be authentic. There are so many pearls of wisdom in this film. But I kind of love that that there’s sort of pop culture references as well as these sort of historical sages. 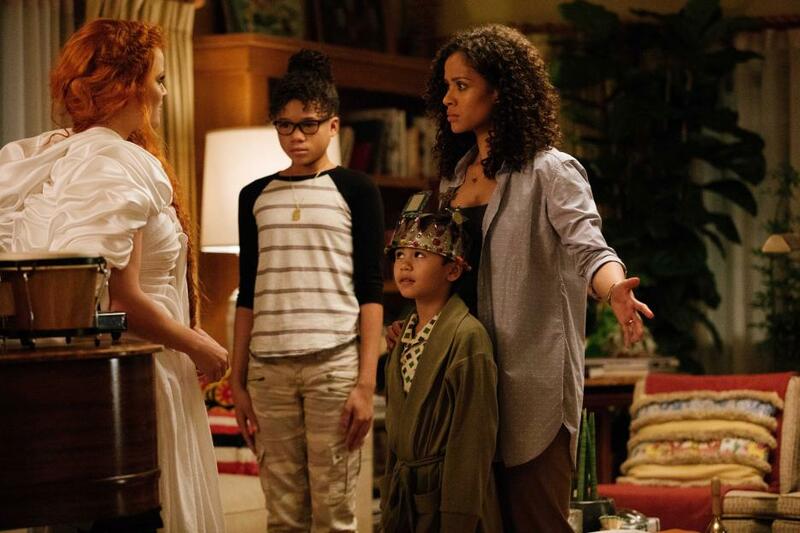 And did you know that Gugu Mbatha-Raw uses fragrance to get into the head of her character? Our group wanted to know if she did that for this film as well. The answer was YES! It’s nice to have that. I think it takes your center away from yourself for a second but again it’s deeply personal. I don’t want to completely bombard people with a fragrance or something. Everybody’s got to do their job. But aromatherapy is interesting to me. I think it affects your mood and your mind. You know that I am a Sci-Fi / Action / Horror fan. 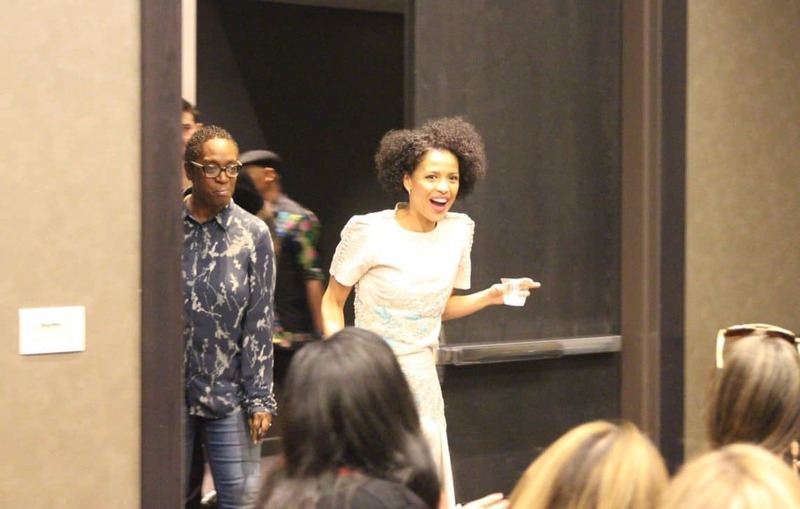 So, I had to ask her about Cloverfield Paradox because I had just watched it and Gugu played the lead, Hamilton. I wanted to know where her passions fell. Was it with the movie? The genre? Or the characters themselves? I like to be stretched. I like a challenge. I got used to being out of my comfort zone and I don’t like to repeat myself. I think naturally I have an affinity towards drama and intense sort of straight psychological deep drama. But you can’t do that all the time. I think sometimes it’s nice to switch up the genres. I’m very much drawn to what the message of the piece is. Especially something like this where if I feel like it’s imparting a message that’s going to help our culture evolve or provoke a conversation. Even provide visibility or inspiration for young people! I think that is something that I’m often drawn to. It’s about staying interested and interesting. I don’t want to get bored of myself. I don’t want people to get bored of me. I think if you don’t stretch yourself then you don’t learn. So I like to learn. *Disney invited me to attend the red carpet premiere of A Wrinkle in Time and interview the cast and crew. Travel and accommodations were provided. All opinions are my own.